Westland Fiber Cement Siding | Westland Cement Siding | Westland Cement Board Siding | Westland Cement Lap Siding | Westland Cement Panel SidingMcGlinch & Sons CO. Choosing the right siding for your house is a delicate balancing act between durability, maintenance, affordability and of course, outstanding curb appeal. That’s why selecting a fiber cement siding product found at McGlinch & Sons is the best option. With cement board siding and cement lap siding you don’t have to choose between good looks and durability, you get it all. Cement siding provides the safest and most resistant option against siding that can rot due to moisture or crack over repeated exposure to harsh weather found here in Michigan. James Hardie cement panel siding is also virtually maintenance free, leaving you time to spend with friends and family. See the experts at McGlinch & Sons today, we have been the remodelers of choice in the Westland and greater Detroit area since 1917. The city of Westland has over 20 recreational parks and over 250 acres of beautiful scenery and panoramic views. Located just 16 miles west of downtown Detroit in Wayne County, the city has a population of 85,000 making it the 10th largest city in Michigan. Some local attractions include the Farmers Market, Mike Modano Ice Arena, Municipal Golf Course and the Westland Historic Village Park. Residents of Westland know that when they are looking to remodel they count on nearby McGlinch & Sons for all their fiber cement siding needs. 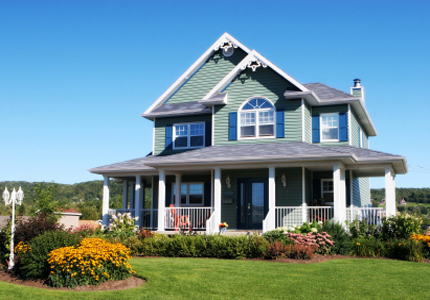 Our experienced teams have been installing only the best James Hardie cement siding products for over 30 years. Since its introduction to the building market just 30 years ago, fiber cement siding has become increasingly popular in new construction as well as re-siding. Contractors like McGlinch & Sons know that the durable cement siding from James Hardie will hold down building costs without compromising the look or integrity of your custom project. Cement board siding adds an extra measure of security to your home with its impact resistant strength, yet the appearance can be customized to that of traditional wood and vinyl siding. Call or come in today to see why fiber cement siding has become the cement siding choice for many of McGlinch & Sons highly satisfied customers. In the Westland area, call (248) 987-6300 for your cement siding needs.